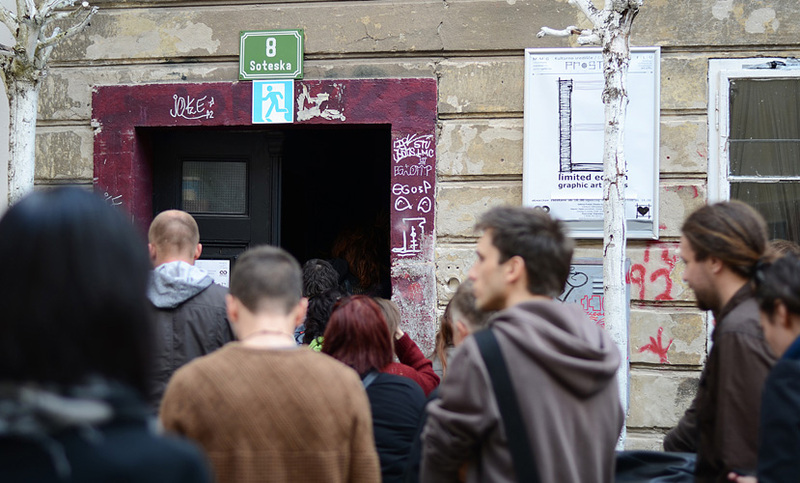 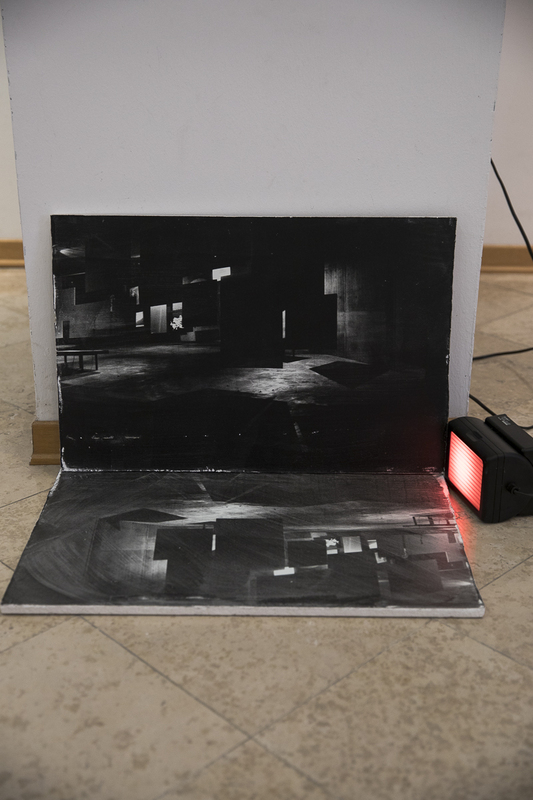 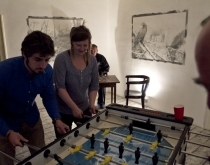 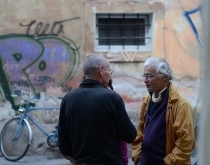 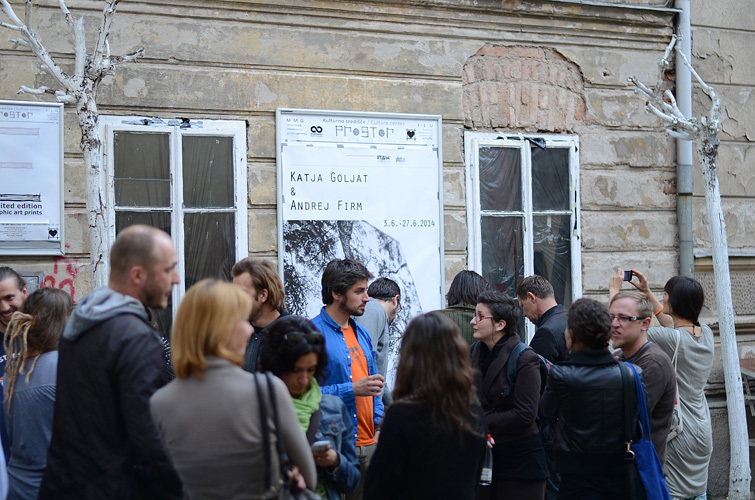 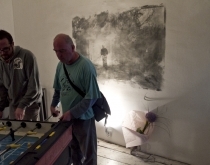 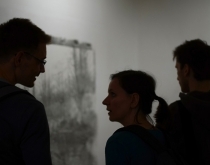 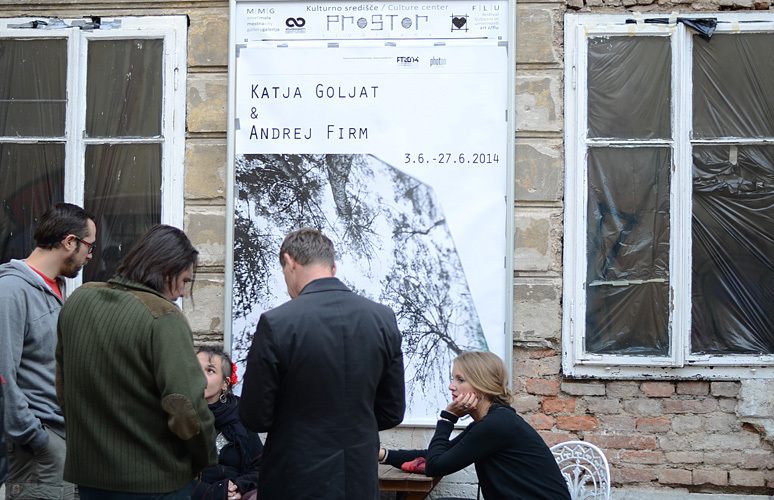 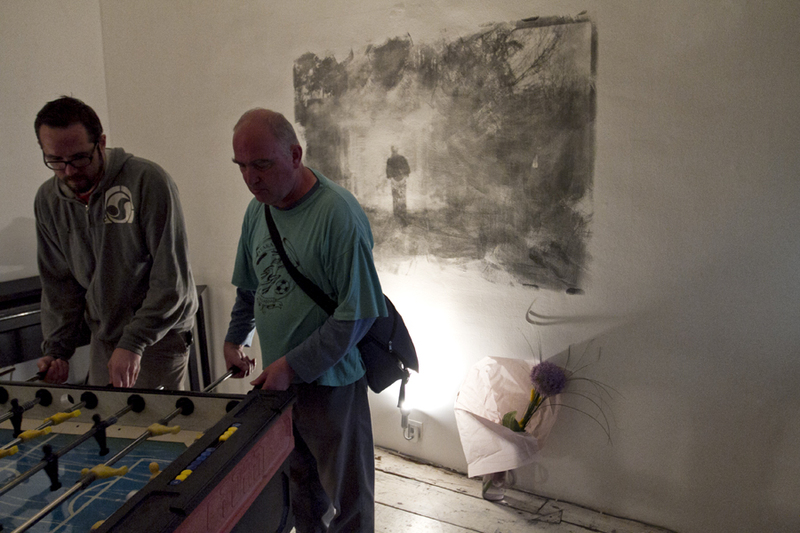 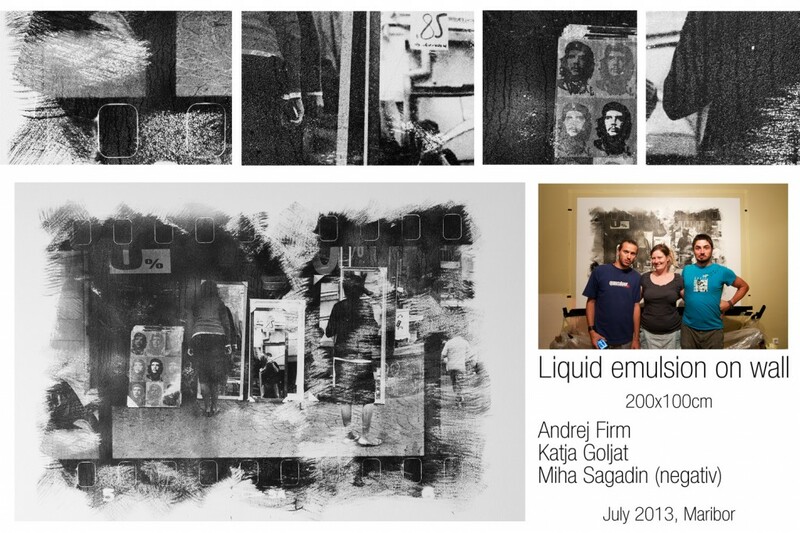 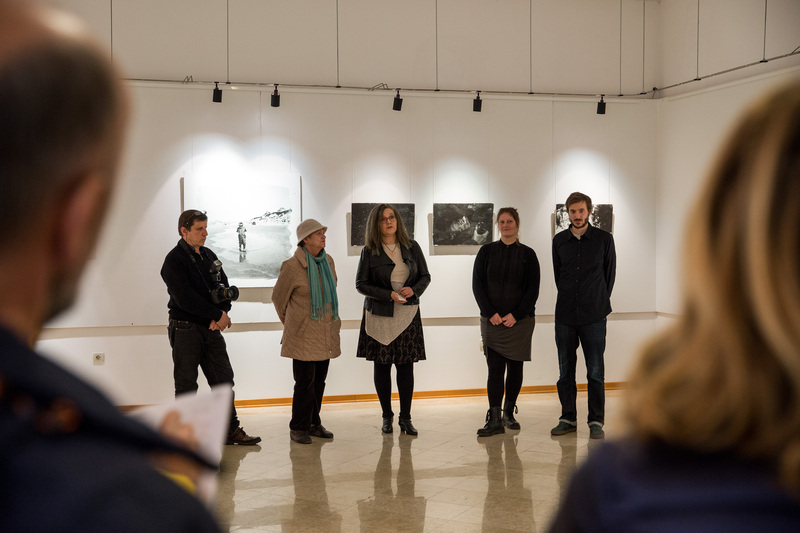 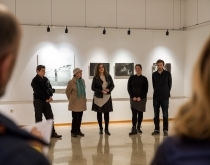 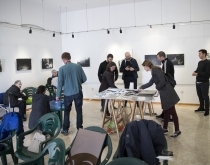 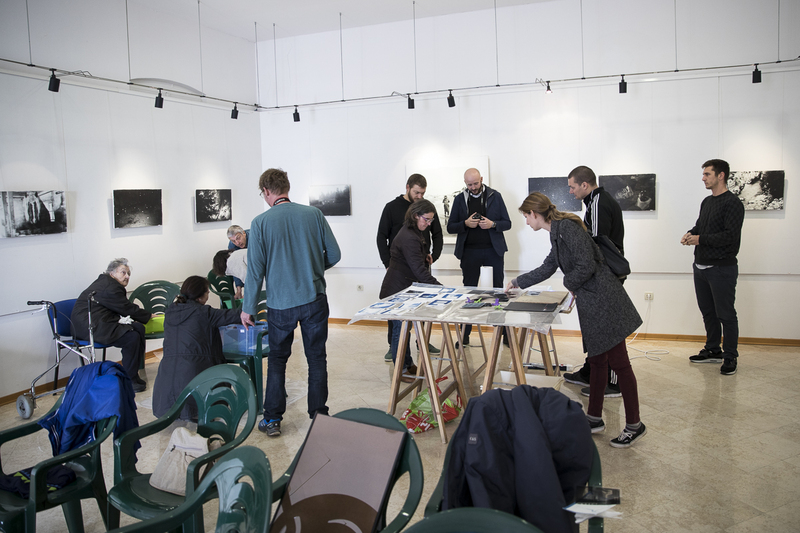 Our performance/exhibition named Living Walls (Žive Stene) – Photonic Moments 2014 was a full success. 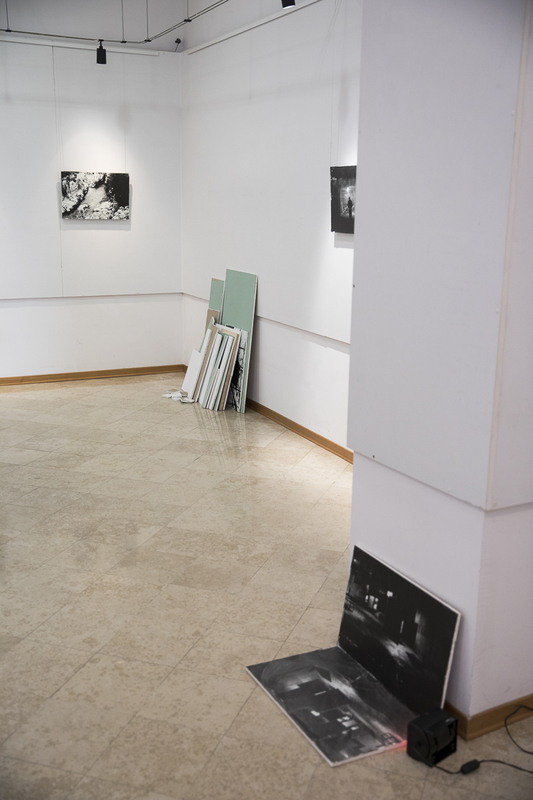 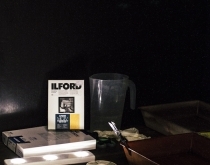 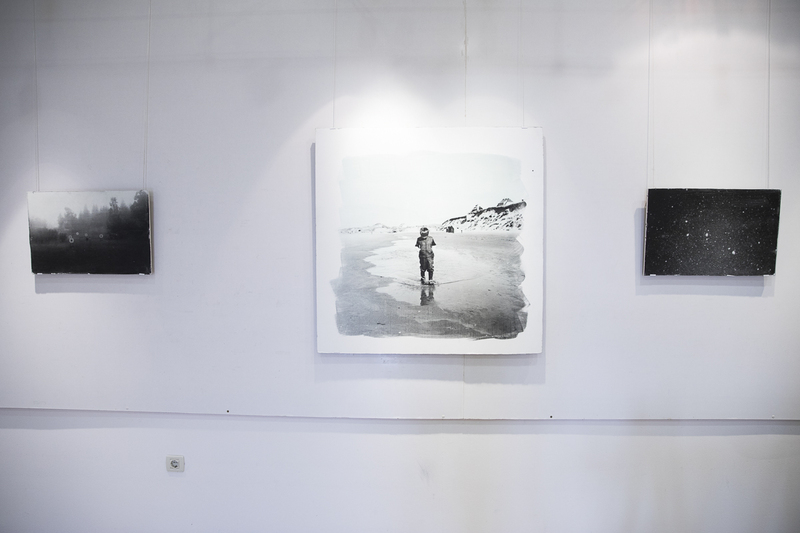 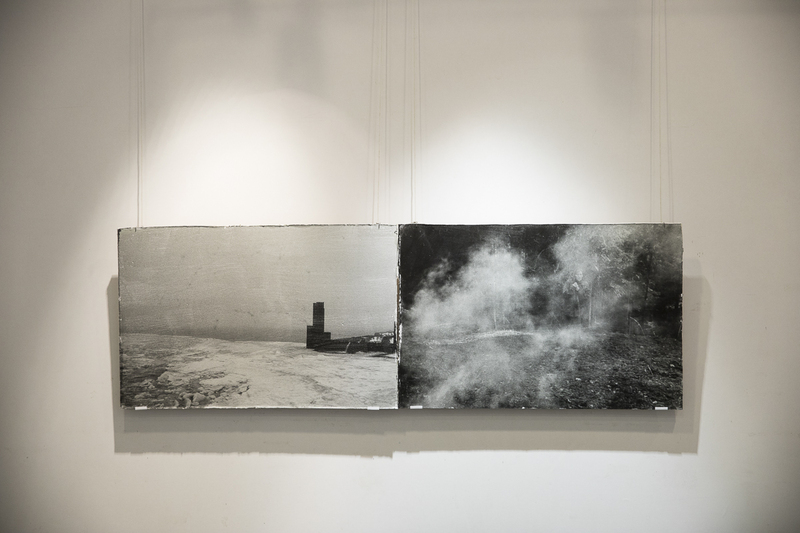 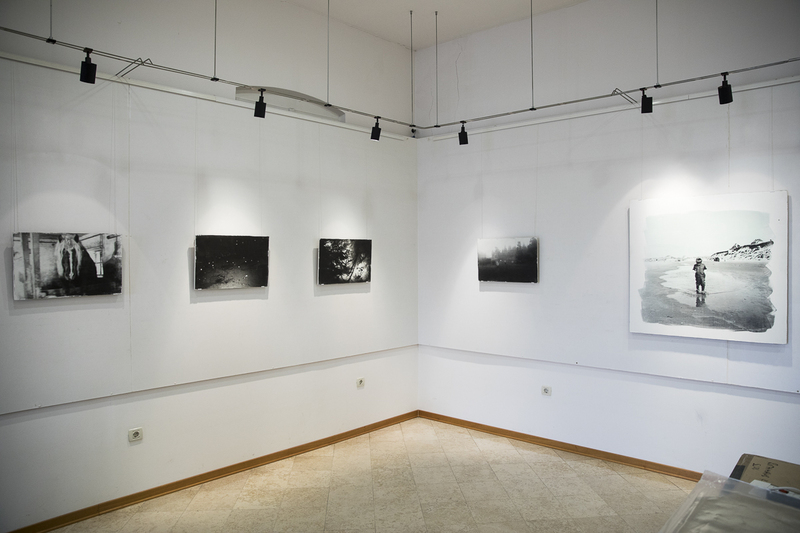 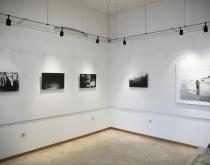 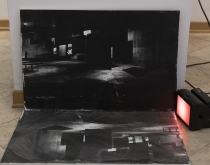 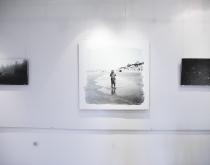 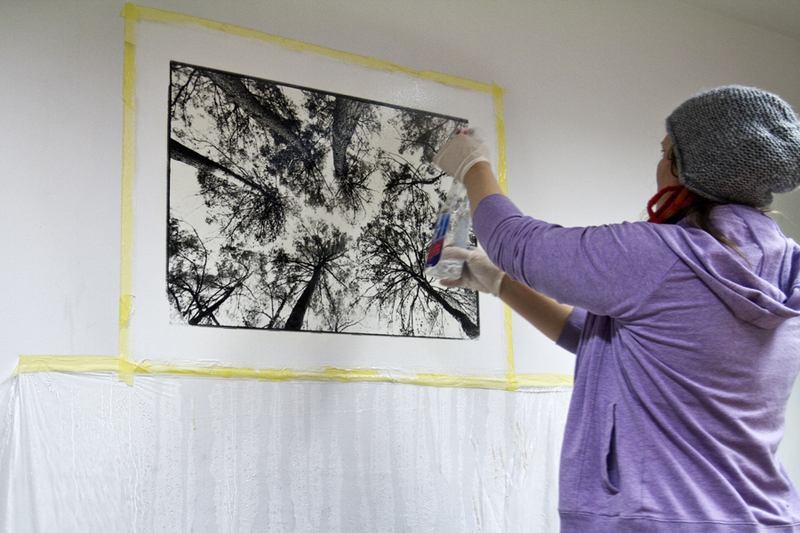 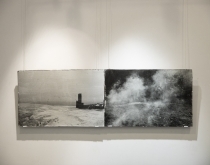 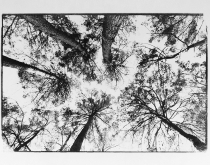 We transformed the gallery space into a darkroom and made our first photographic triptych on the wall! 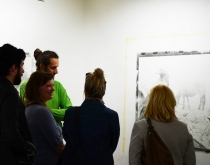 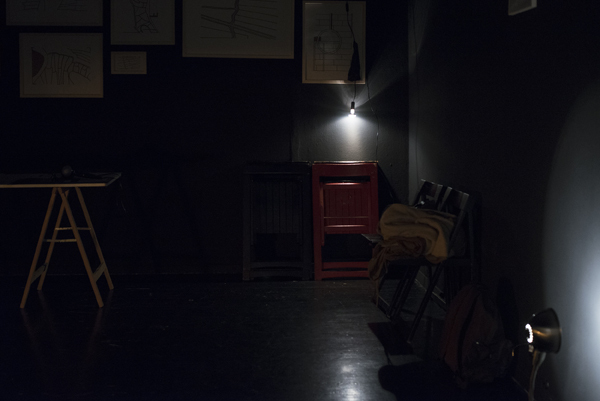 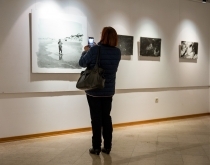 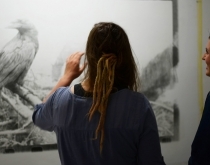 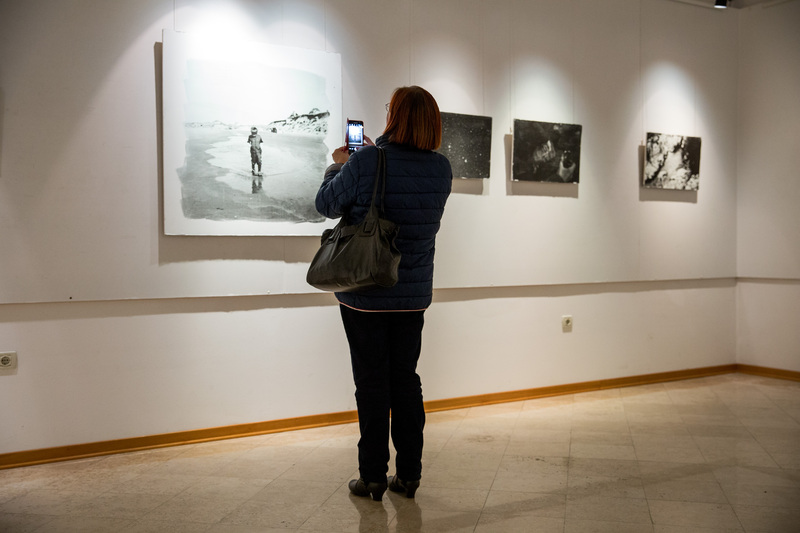 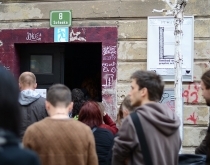 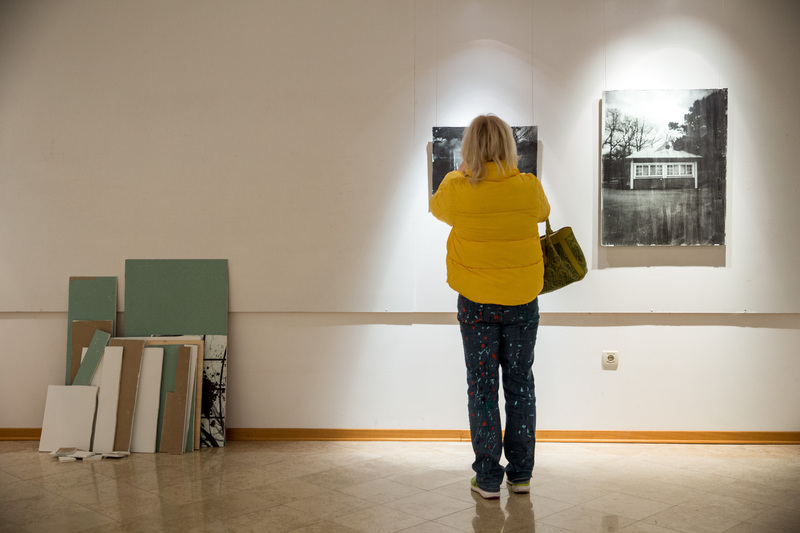 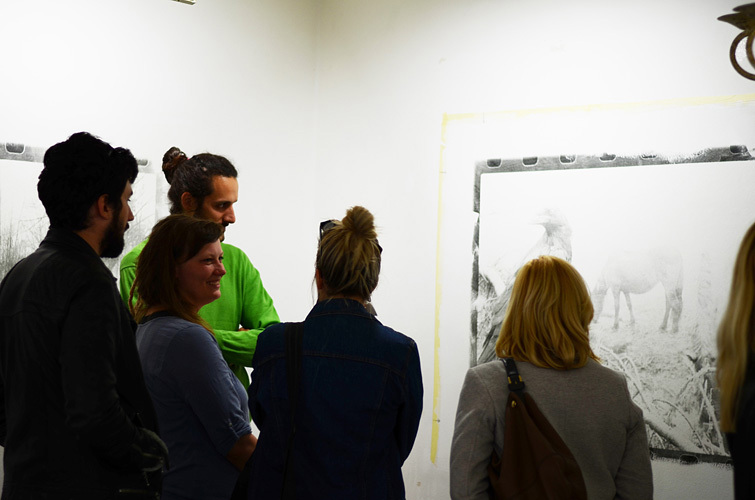 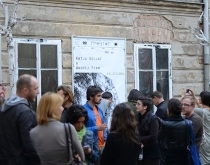 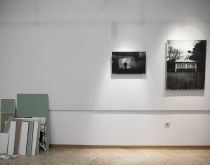 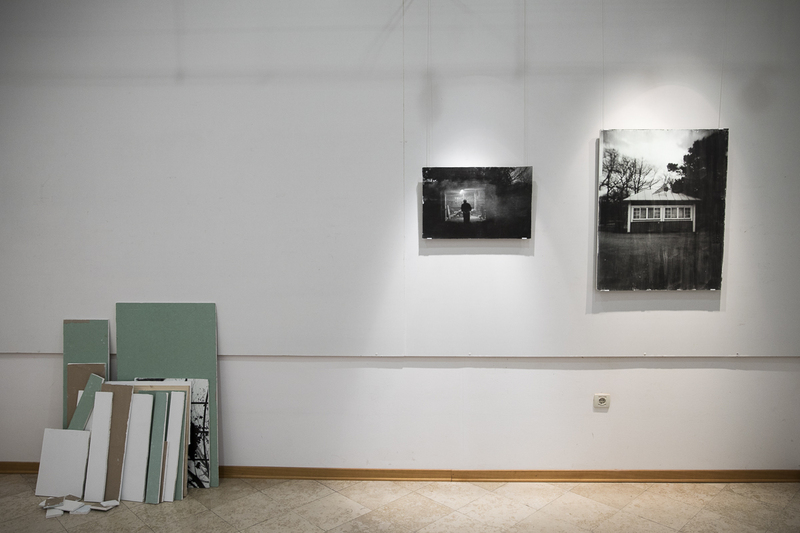 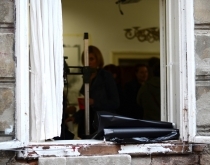 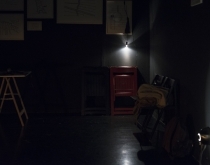 The audience got the chance to witness the creation of the last photograph – live accompanied with live music performed by Matija Dolenc (In Audio We Trust). 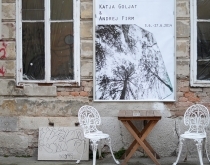 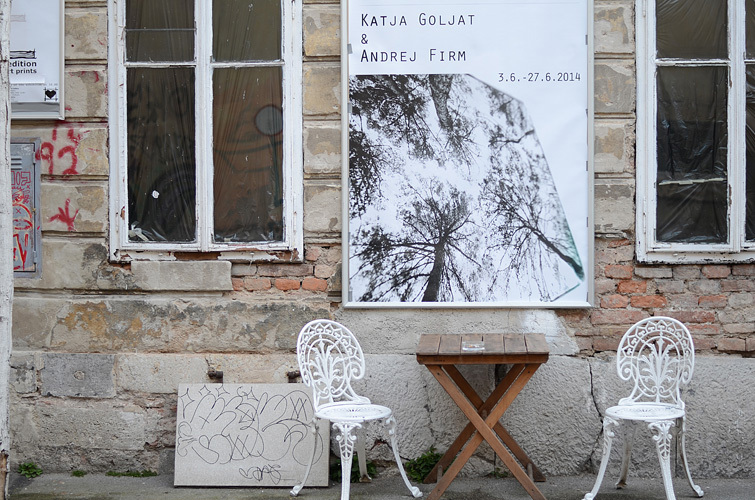 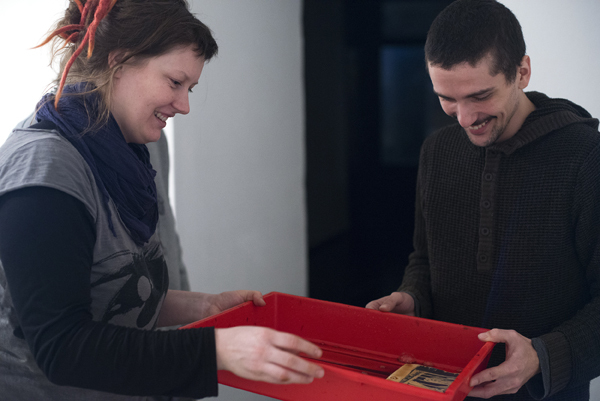 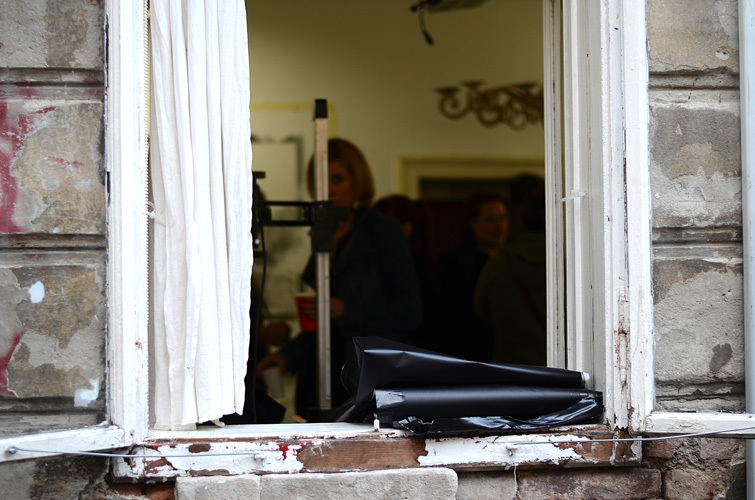 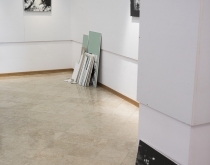 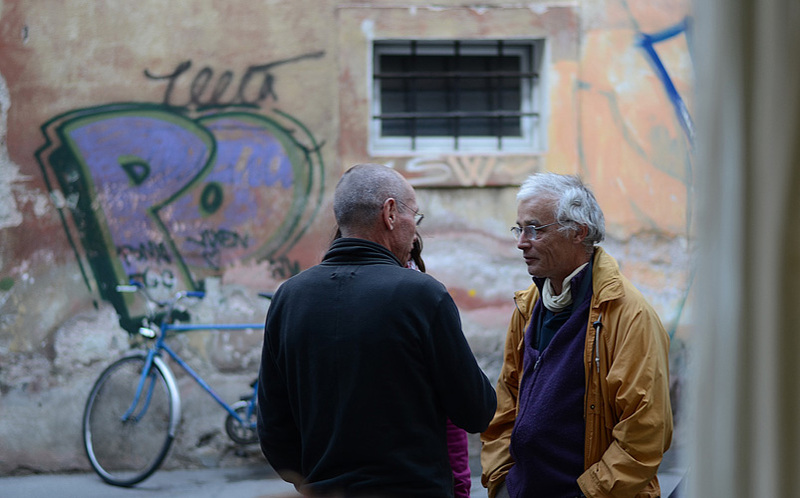 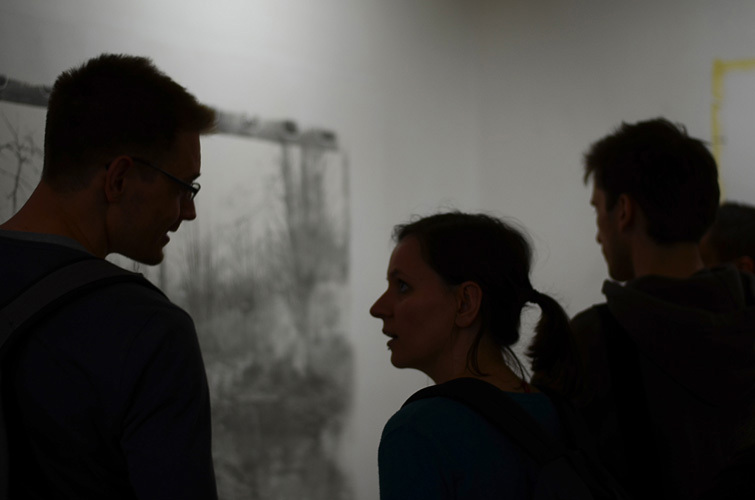 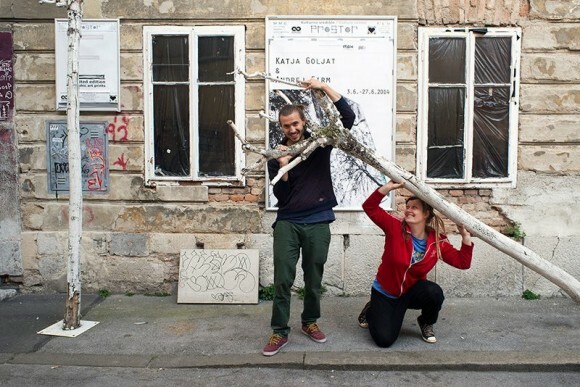 Special thanks to Jasnja Jernejšek (Photon) for organizing the event, Dime (Gallery Prostor) for lending the work space, Matija Dolenc for the live music performance made especially for this event and Miha Sagadin for helping out the entire time, plus filming/documenting the whole process! 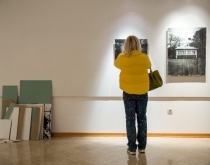 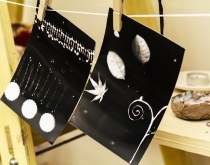 Short video made before our performance and exhibition Žive stene / Living Walls on Photonics Moments 2014 (European Month of Photography 2014). 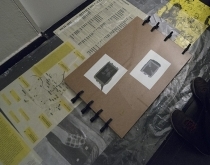 The hard work paid off, we made it stable and with no mistakes… A bit smaller then the first one (75 cm x 50 cm), but still a full success from the developing point of view. 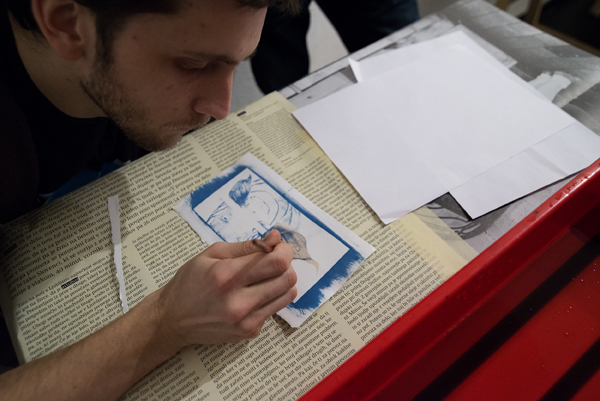 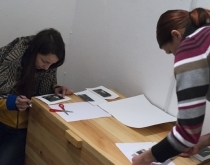 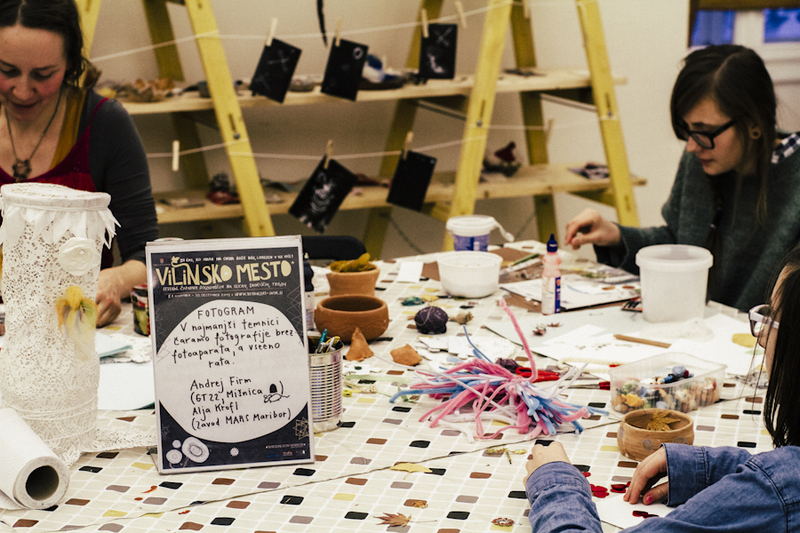 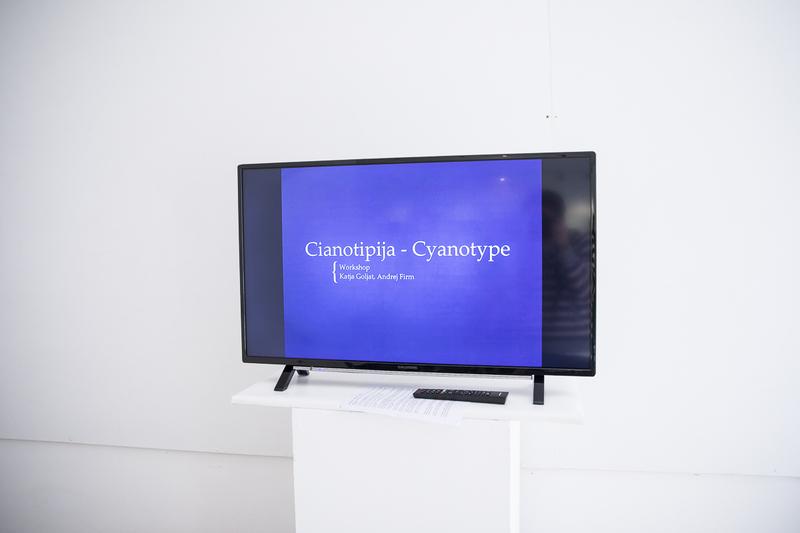 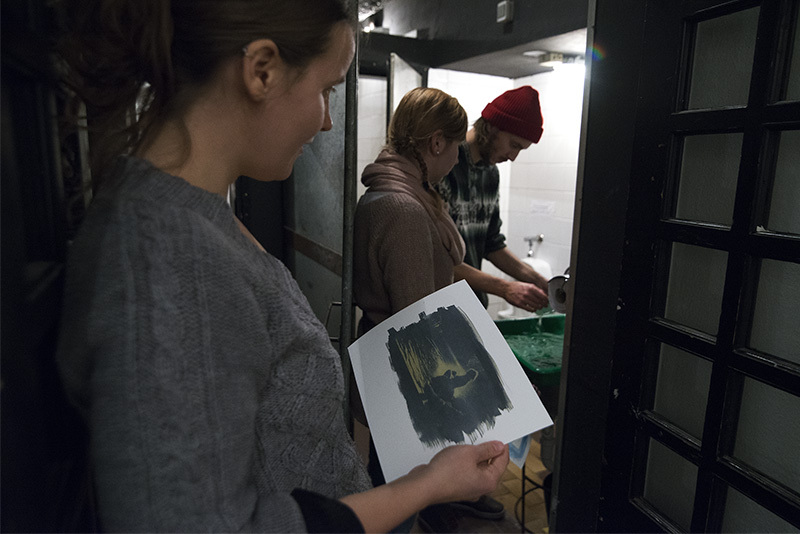 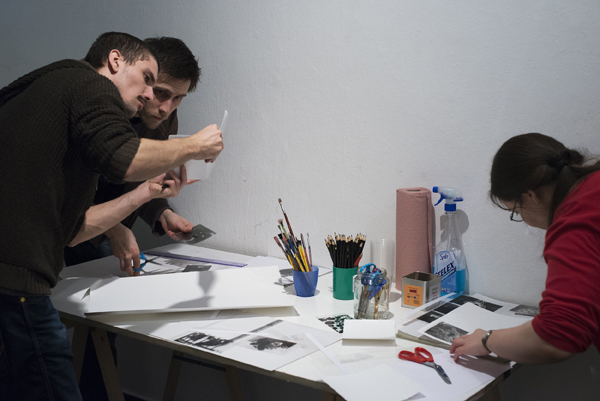 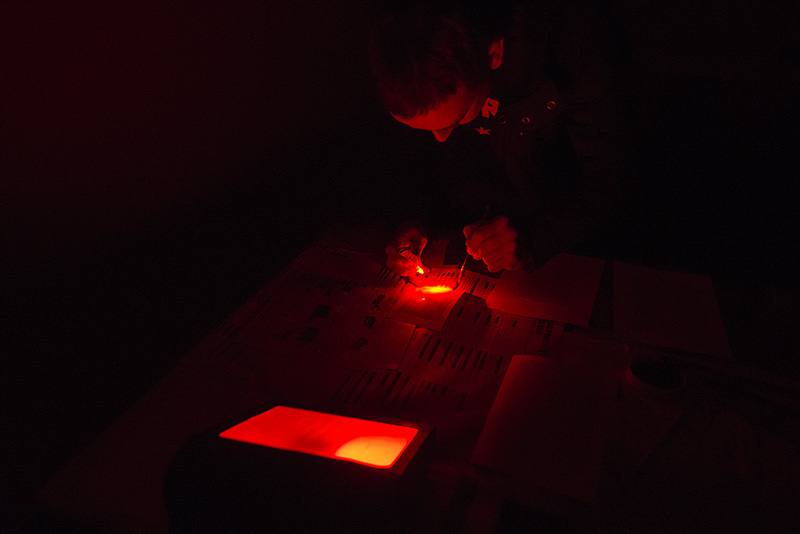 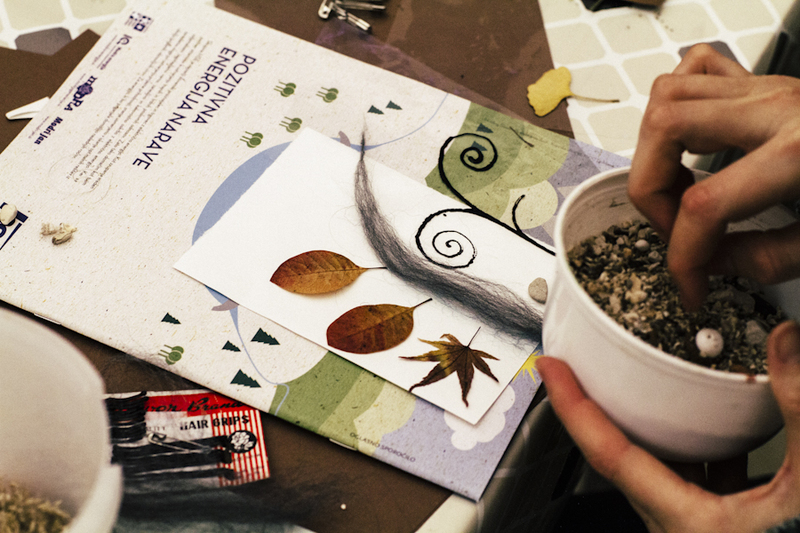 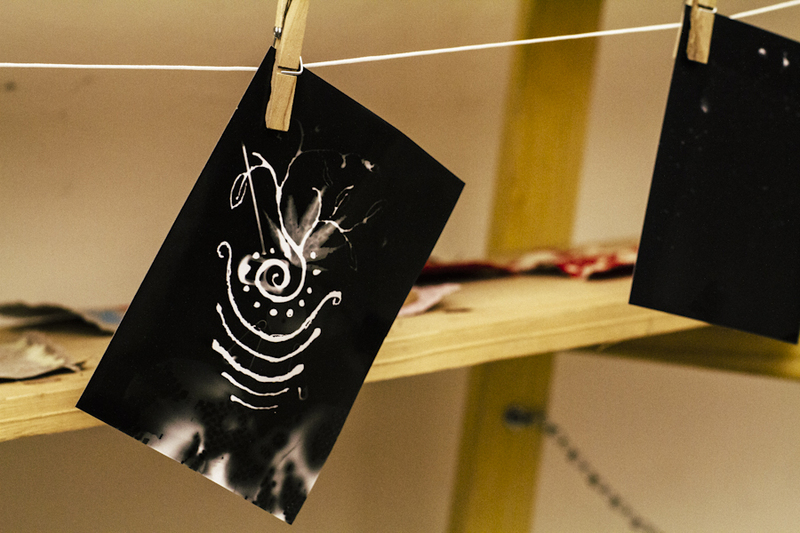 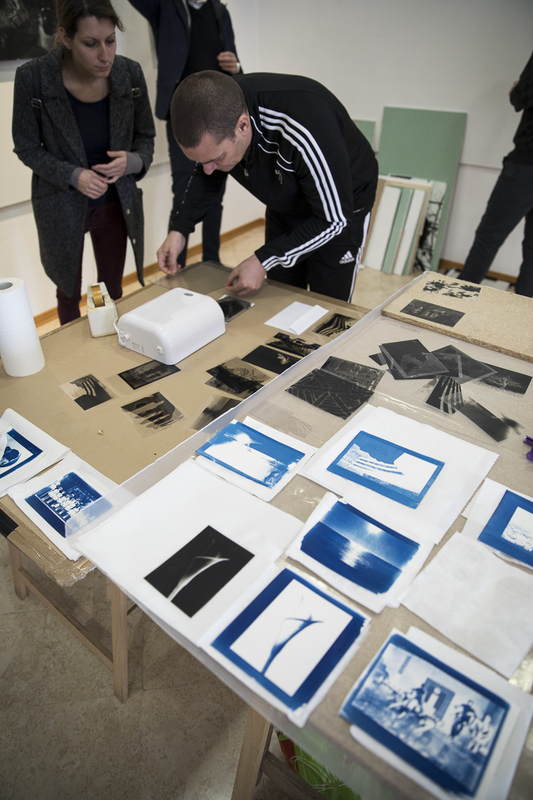 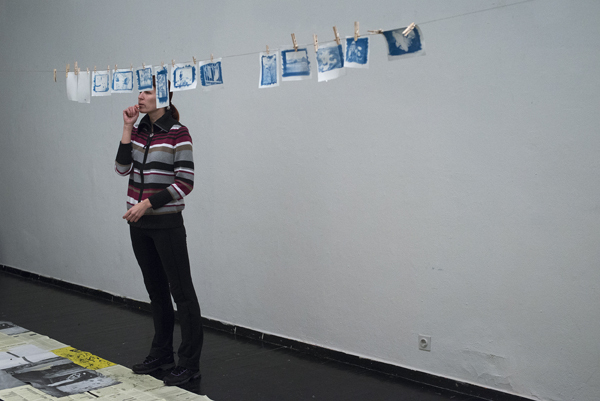 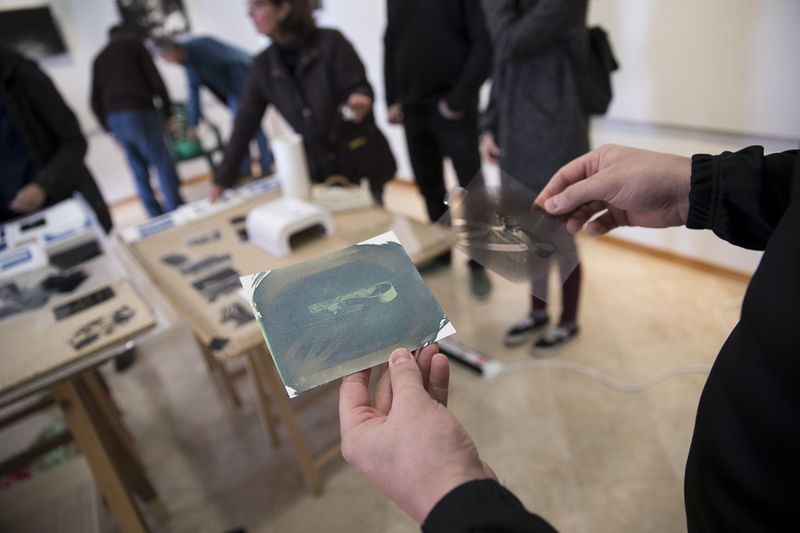 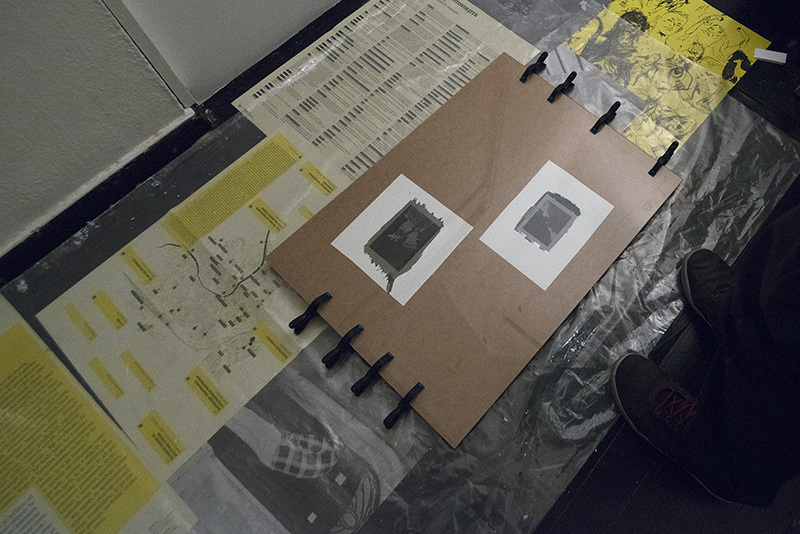 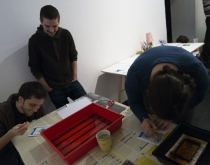 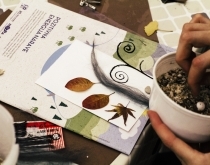 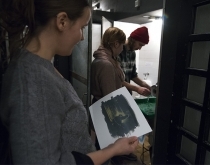 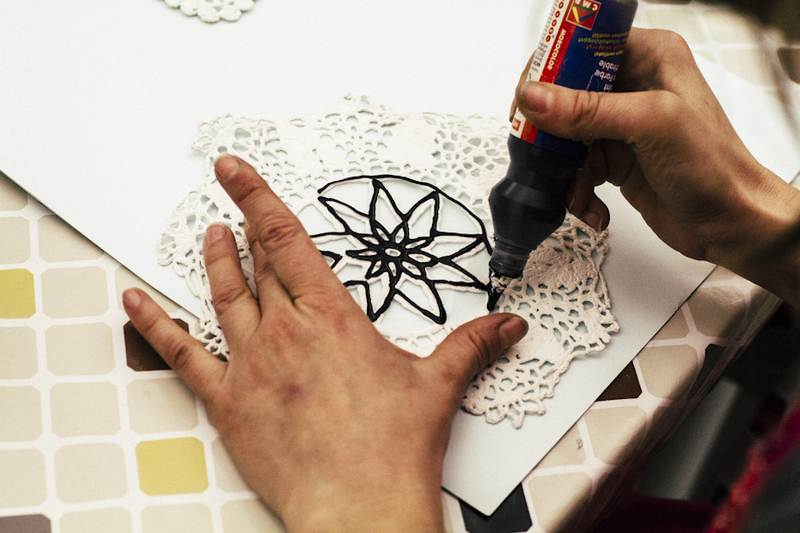 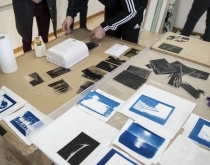 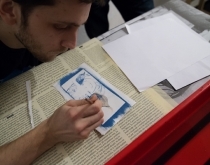 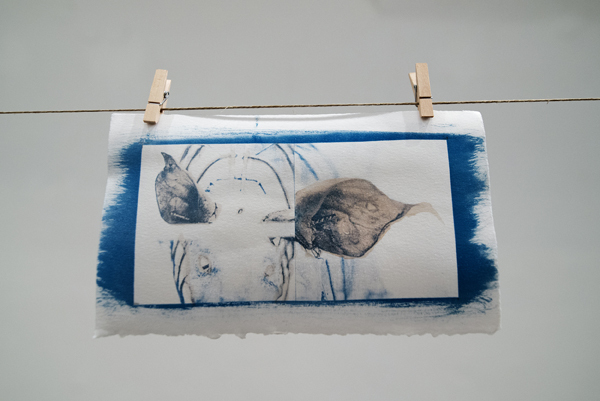 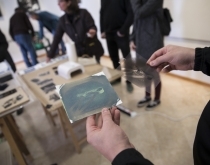 We organized our second cyanotype workshop at ŠKUC. 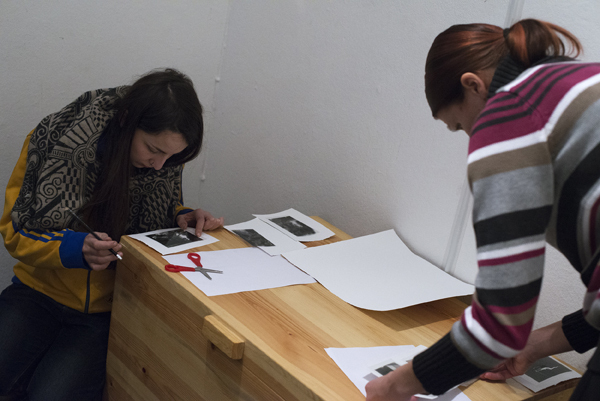 After the success and interest of the first workshop, we were invited to do another one. 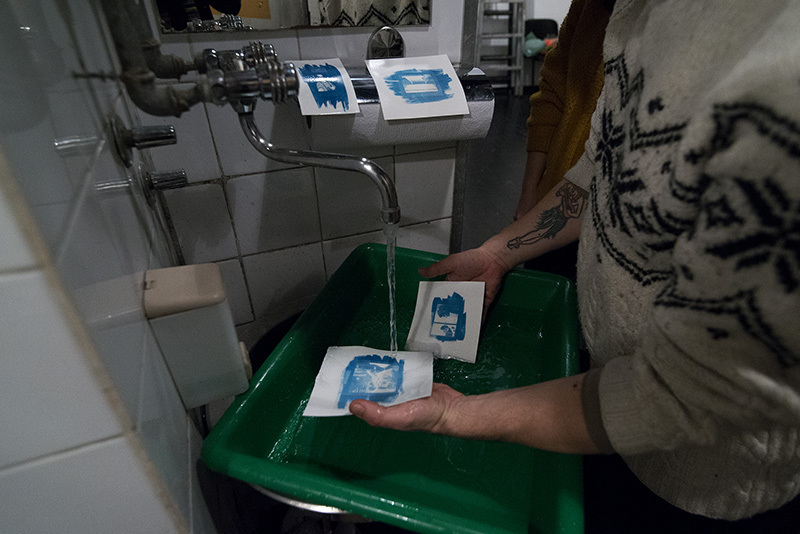 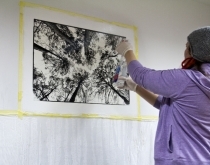 This time we expanded the workshop by adding the possibility to post-process (bleaching & toning) the cyanotypes with coffee, black tea, vinegar and other substances. 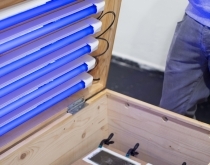 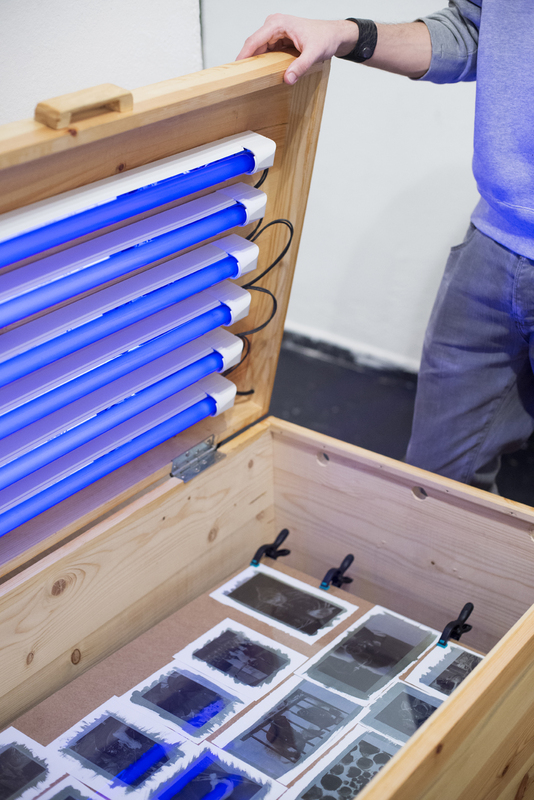 The developing was done with our UV box a.k.a. UV Sandra. 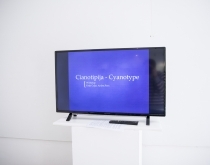 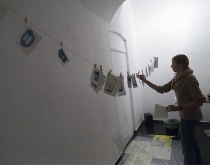 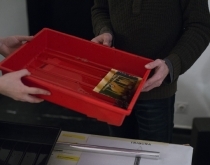 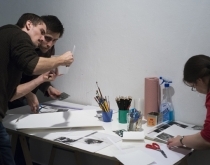 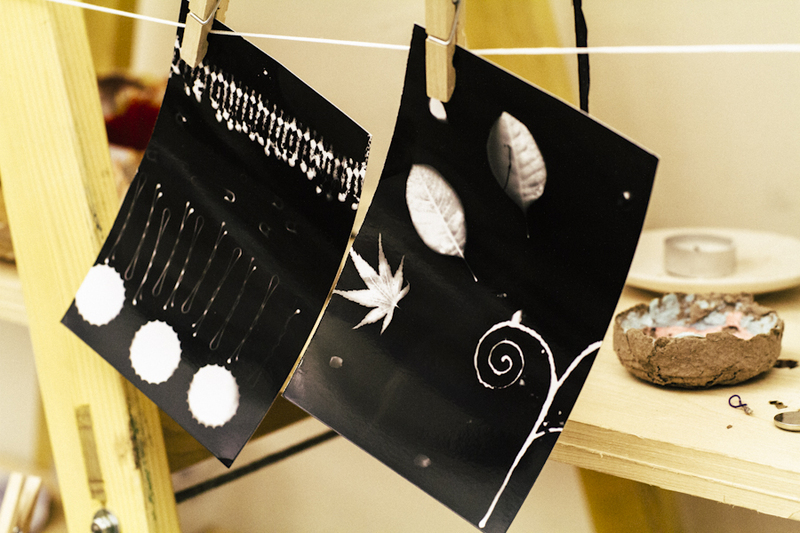 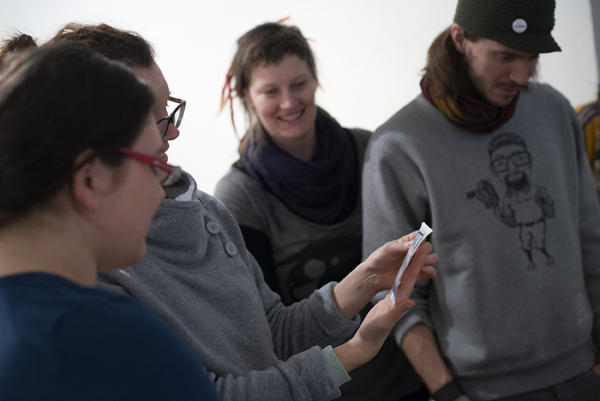 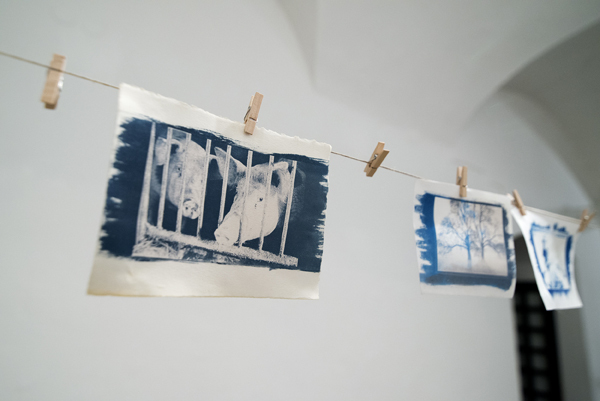 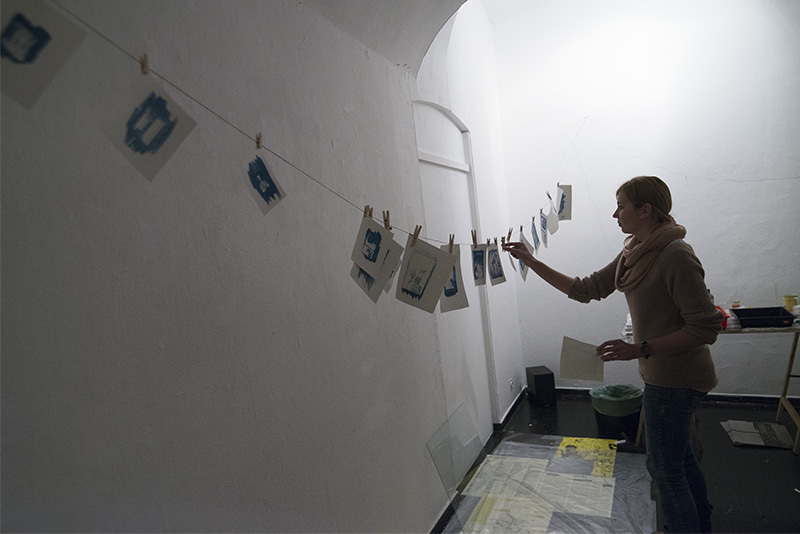 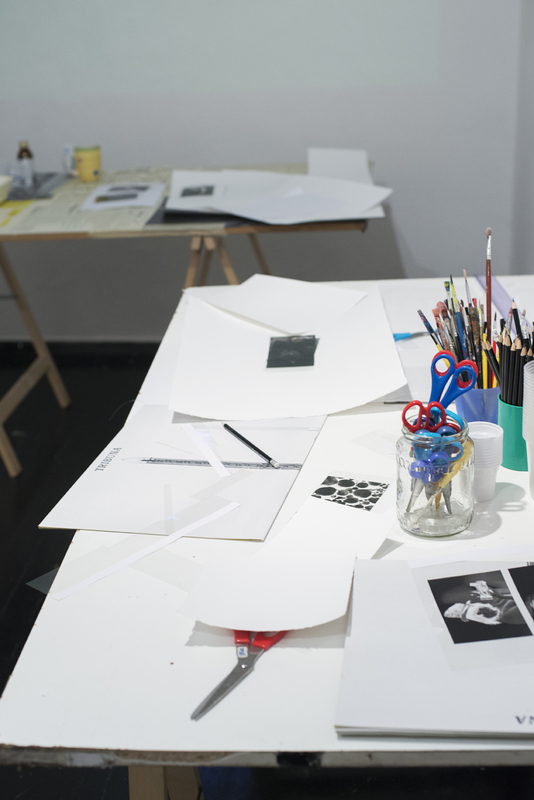 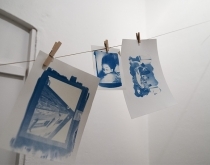 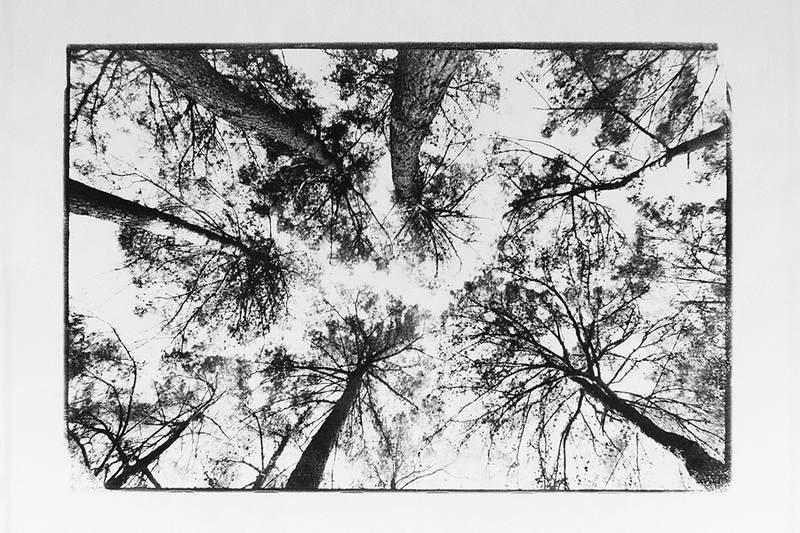 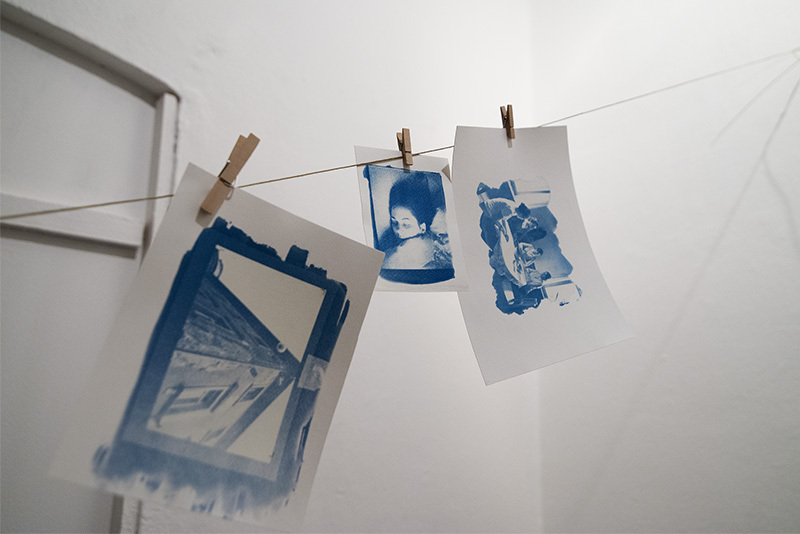 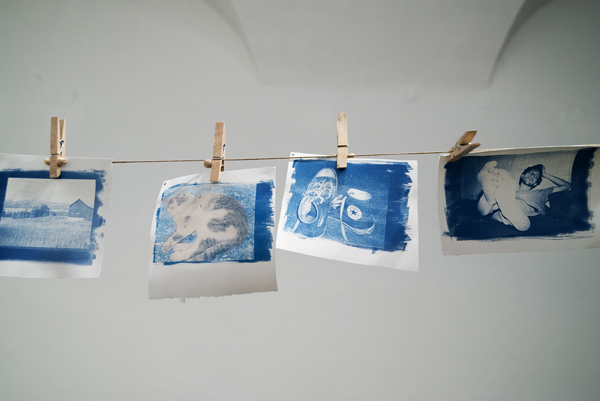 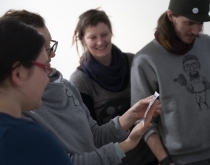 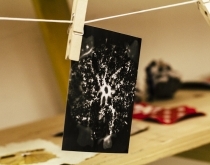 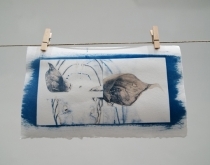 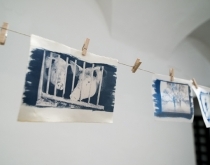 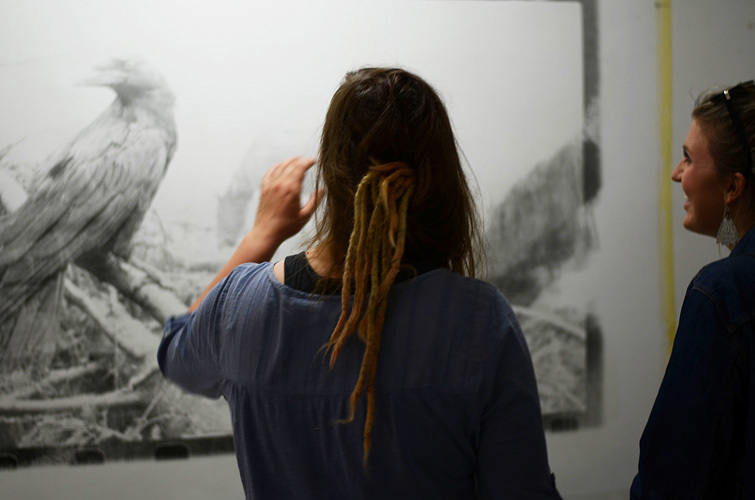 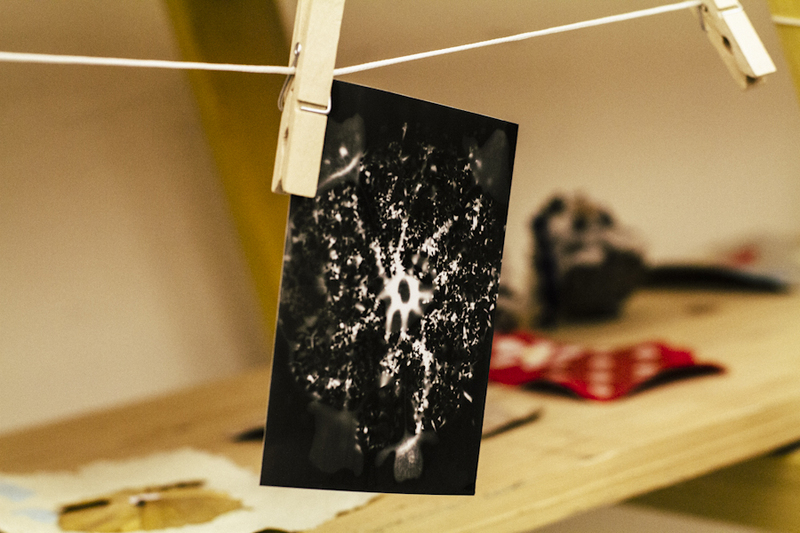 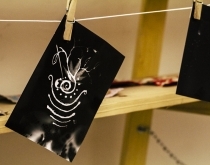 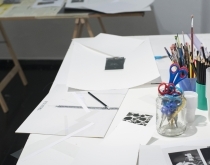 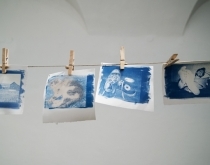 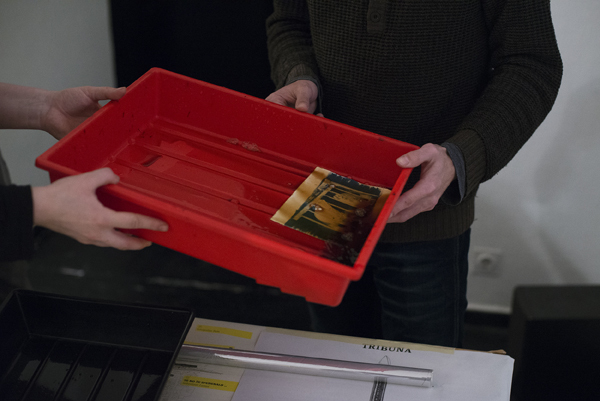 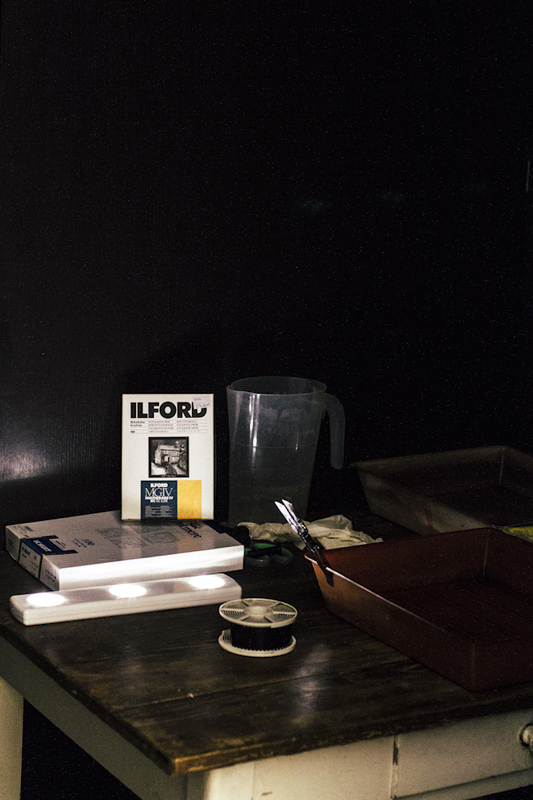 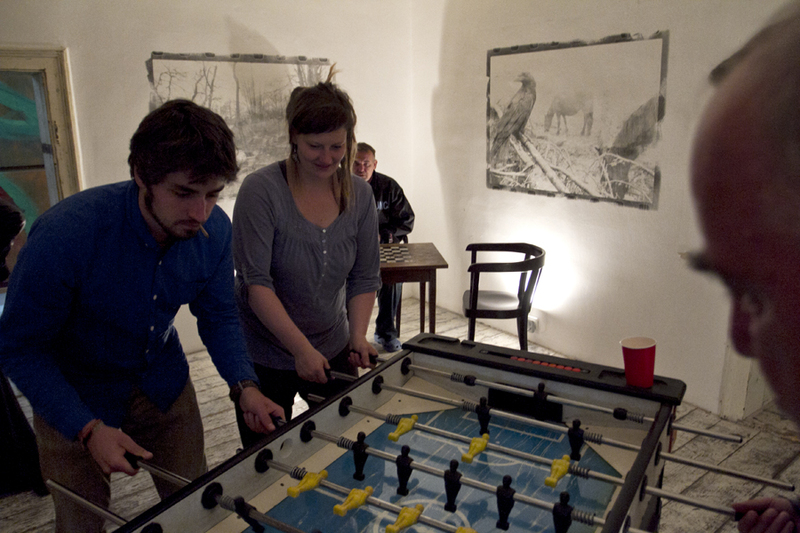 Finally we managed with Katja to organize our first Cyanotype workshop at ŠKUC, Ljubljana. 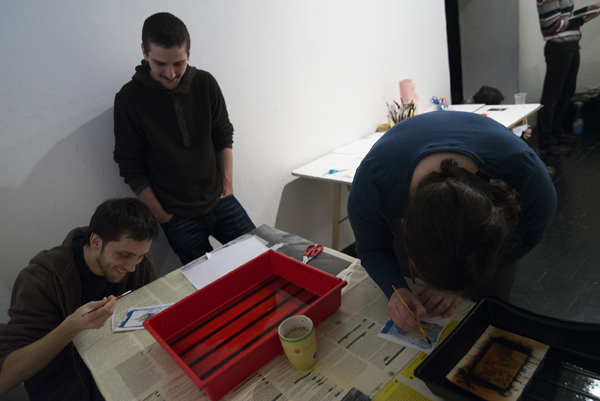 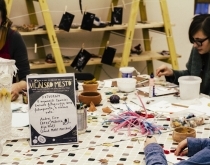 The workshop was a full success and we hope to organize a couple of more in the upcoming year.